Seriously Guys! I think we're scraping the bottom of the punster pile here. I know we are capable of better (sic) wit. About what time do the festivities typically start each day? We usually gather about 7:00 am. The steam crew comes in earlier. And I arrive fashionably late somewhere after 8 am. I hope you can make it. It's been awhile since we've seen you. 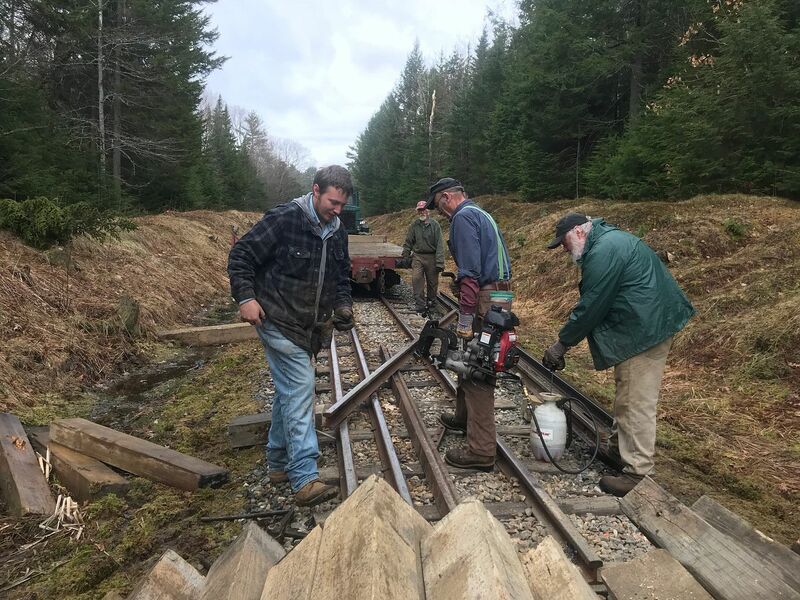 Crew 1: Jacking, tamping, & ballasting from near Sutters south. 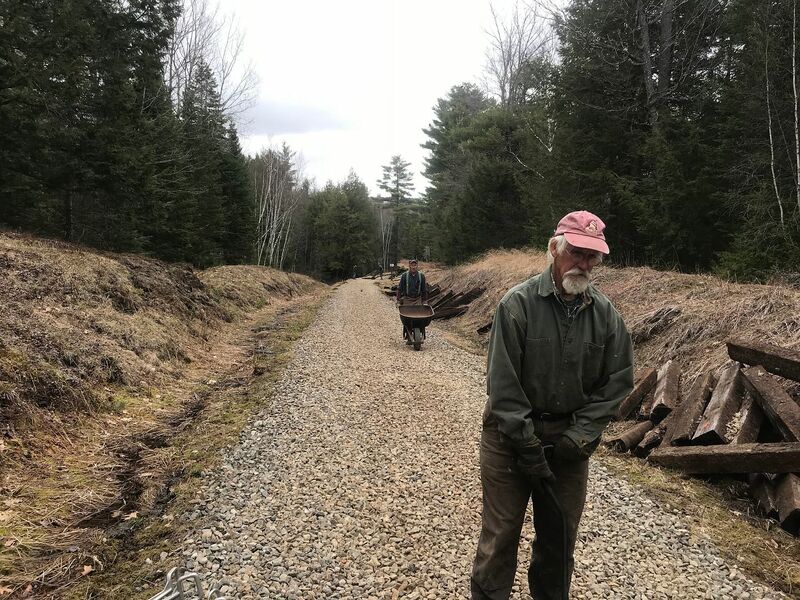 Around the same time Mike will be working the ditches, and loading a car with tailings and ties to go south to Sheepscot. Crew 2: If manpower permits we may run a second crew to change ties near Crew 1, once the tailings train is no longer needed, we can resume work south of the tamping crew. Crew 1: Finish up any ballasting needed on Davis grade, and or another key project, or ballasting in other areas. Regardless of weather, we have plenty to do. The more we get done now the more the weekday crew can focus on other projects, such as the bridge, #10, etc. Has Dana retired as roadmaster/track supervisor? I've already made hotel reservations and roped in my two younger brothers... It'll be great to be there! Thanks for the info on where things happen. Ahh, the prodigal son returns! And we are the better for it! I think Joe is Dana's minion. Dana is not retired, just busy with work. This is just a post to say what the weekends plans are with track. 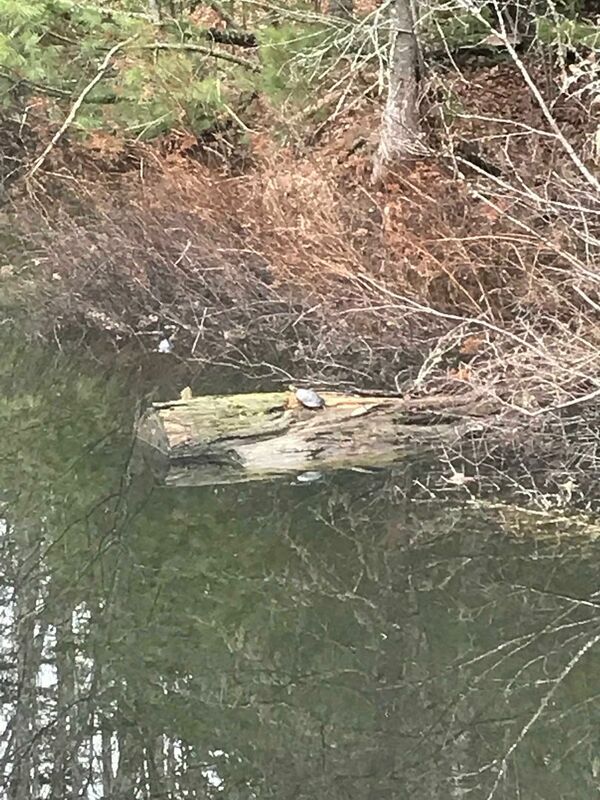 And the turtle has come out...I thought I saw the ripples of it Sunday as I came by Eastman Lake, and here it is. The last picture makes my day evening, Jason and Mike. Sure sign of spring. I always look for Yertle and companions on the trip north and return. I am in hopes they save enough work for this weekend.. Plenty of work left. Have no fear on that. We have taken advantage of the crew size and prepped as much as possible. If a project finishes ahead of schedule, the crew can move on to the next project. 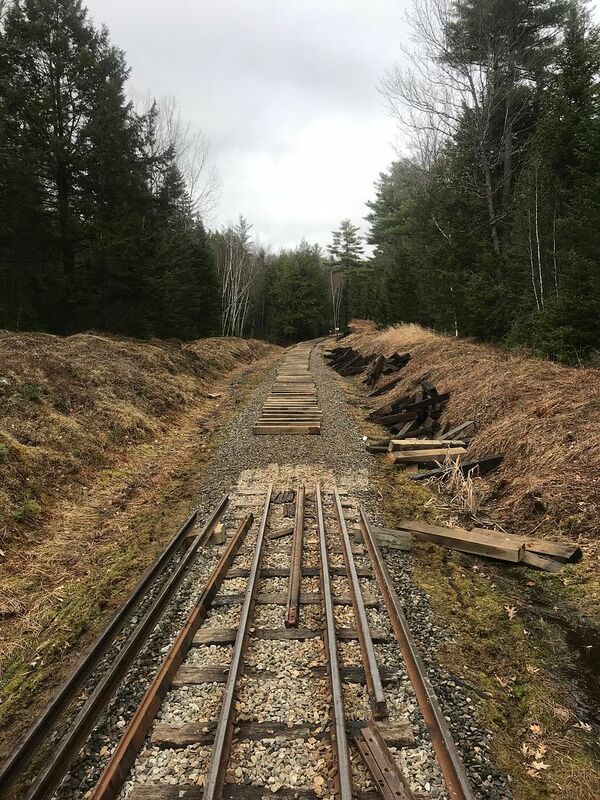 There are 147 ties to replace (not counting our track repair), 310' of rail to place and spike, junk ties to pick up, ballasting, jacking, and tamping to be done. There are smaller projects to be done on track that can be done as well without the need of a dedicated foreman due to simplicity such as tightening bolts, etc. - Jay built an awesome tie ladder that looks like it will work very well. - Reassesed plans for Davis grade as a whole, such as specifics on raising track for at least half the grade. 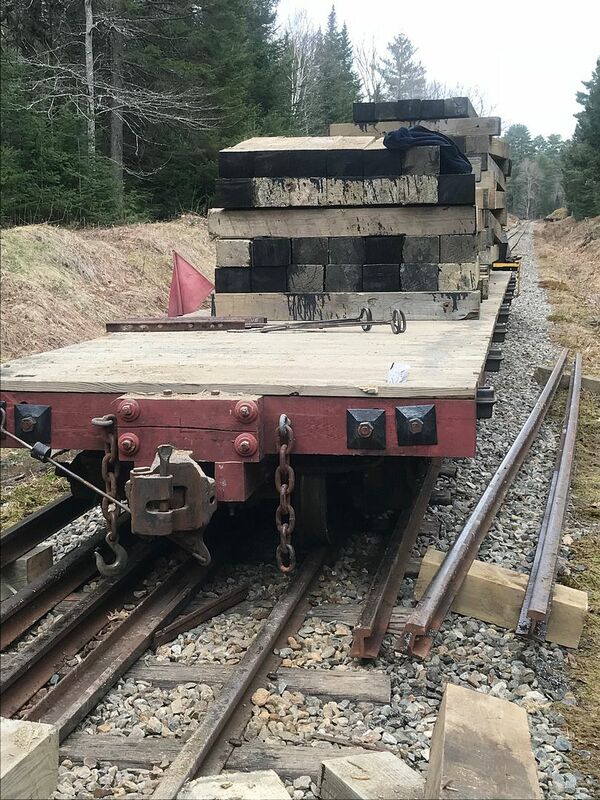 Priorities are still the same with a minor note: odds are #9 will not be ready in time for the rail laying, but will still be used per normal work weekend duties.